If you’re a guitar player (or a bass player), you’re in luck. If you want to change your sound or explore new ideas for your sound, there’s never been a better time to be an effects pedals user. Exciting and innovative guitar effects pedal makers exist across all of Europe, Canada, and the United States. This competitive field offers hundreds of options in almost every category. You have better, more attractive, and more powerful choices than ever. The downside is that it can be hard to know where to begin. 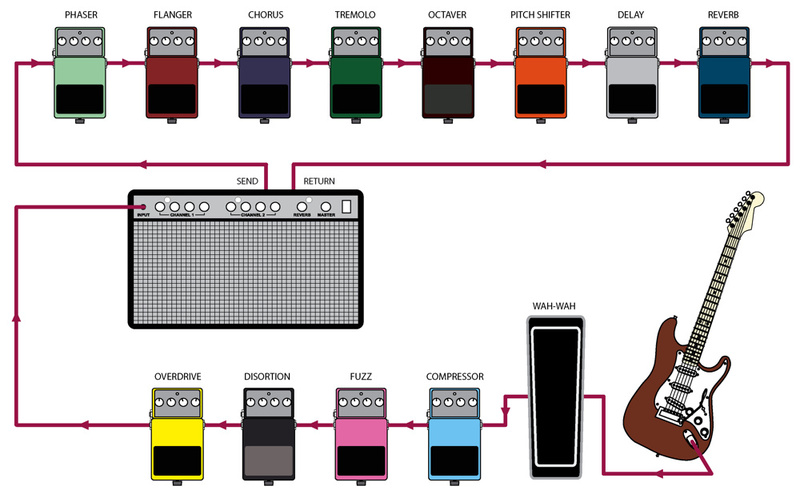 All effects pedals follow the same process, whether you’re using a guitar, keyboard or bass. The instrument sends an electrical signal through a wire into the effects pedal. The pedal’s electronics carry out its transformation on the signal. You can use more than one pedal at a time, and the results are a matter of your taste and musicality. So are your choices regarding what you buy and use. If you have a reasonable amount of money to spend, try to avoid going down to Guitar Center and just buying the first things you see. Most music retailers have a limited selection of guitar effects pedals from the biggest makers, which doesn’t reflect the real choices you have. The pedal market right now is quite frankly insane. The choices can be bewildering and overwhelming. It’s really easy to start buying the wrong things. We recommend doing a little research before buying. Start from the kind of music you play. What do your favorite bands use for effects? (You can usually find this out pretty easily.) How about your favorite guitar player? If you love the blues, your choices are going to be very different from the dude who follows heavy metal. What kind of Tone do you want? You have another consideration: how far do you want to go with it? Do you want to do more than practice in your basement or living room? Do you just want one or two pedals to experiment with, or do you want to start building a more serious rig? That takes more than just stringing a couple of pedals together. You may need other things such as an isolated power supply and even a pedalboard of some kind. We ask you all these questions because it is easy to spend money up front on the wrong stuff, discover that it doesn’t work for you, get stuck with something you don’t want, and be forced to sell it for a discount on Craig’s List or Reverb.com, or worse, have it sitting in a drawer. Pedals exist for any possible sound, and for any possible budget. The cheapest pedals tend to be made in China or Taiwan, and go up in price to just about any level you’re willing to pay. Cutting-edge pedals (from makers like Chase Bliss, Pettyjohn, Glou Glou, Thorpy Effects, Kingsley, Robert Keeley, Source Audio, Strymon, and too many others to name) range from $300-$600 depending on complexity and sound quality. These stompbox makers are usually called “boutiques”. Between the overseas makers and the hard-core boutiques sits the middle tier, consisting of several longtime companies in the effects market: Boss, Electro-Harmonix, Line6, and several others. 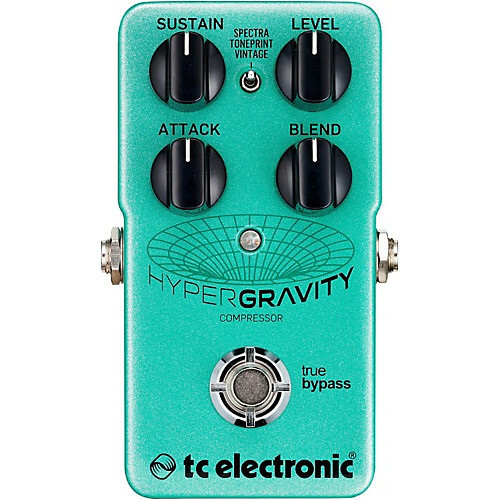 A rule of thumb is that if you spend more than $200 on something, it’s likely a boutique pedal. Really, though, anything that’s (more or less) hand-made and designed to do at least one thing very very well, can be considered boutique. You won’t typically get these from China. This is why thinking about it first is important. There’s some serious money involved here! You also want to consider how you’re going to approach using effects. Do you want to have several pedals, each of which does one thing really well? There are thousands of specialty pedals of all different types designed to do one task. They’re usually easier to work with, smaller in size, and a bit cheaper. Strymon, Eventide, Boss and a few others specialize in something called “Category pedals” which aim to cover all types of a particular sound, such as reverb, delay or modulation. 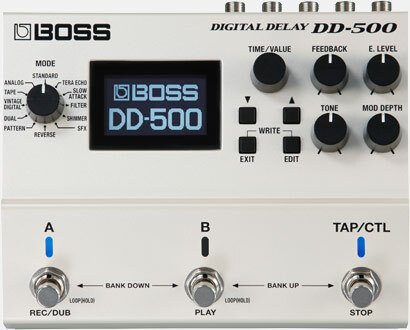 For example, the Strymon Timeline and Boss DD-500 contain dozens of different delay sounds, aiming to be the one delay pedal you’ll ever need. They support MIDI, expression pedals, and comprehensive lists of bells and whistles. A downside to category pedals is that you can usually run only one sound at a time, instead of combining them. This can drive the cost up dramatically if you wind up needing other devices. They also tend to be complicated to use, especially if you’re new to this game. Do you want to consider getting just a few things, or one thing, that does everything you need without getting into the complexity that building a pedalboard entails? Boss, Fractal and Line6 (and others) also make expensive but powerful all-in-one pedal consoles that can handle everything, all at once. They’re expensive up front, but the learning curve is limited to a single all-encompassing device, and you can mix and match as many sounds as you need. Tone is the key to everything. It’s why we mention thinking about the kind of music you listen to and what you want to play. What type of tone do you want? Kirk Hammett? David Gilmour? Matt Pike? Mark Knopfler? B.B. King? Stanley Clarke? This should be a big influence on what you buy and use. Your pedal choices should be determined by what you want to do, not the pedals you wind up buying. Apart from tone, this is certainly the most subjective element of any pedal purchase. Generally, the more you spend, the better quality you’re entitled to expect. Up to a point, price does not define quality. A $129 Robert Keeley compressor pedal delivers 90-95% of the functionality and sound quality of the $329 Origin Effects Cali76 compressor. Is that extra 5-10% worth the extra scratch? For many people, it is. Both pedals are excellent quality. Don’t, however, expect a $49 knockoff pedal to match either of these in quality, or even come close. There’s not always a direct correlation between cost and quality, but you usually get what you pay for. It’s even more important to look around, do some research and ask online questions before you lay down your hard-earned bucks on a device you hope to use for years. When you invest $500 on a guitar pedal, it really needs to do what you want! When you start buying pedals, it’s helpful to know how to hook them up, and in what order. Apart from some basic rules, there’s really no limit to how you can set things up. If you’re starting out with guitar pedals, the following rules will prevent you from making mistakes and misinterpreting the results of your sound. If you want a wah pedal, put it at the very beginning of the chain. Overdrive, distortion and/or fuzztone should go before modulation effects. Modulation effects (chorus, flanger, phaser, etc…) go after overdrive and fuzztone, and before time-based effects (delay, reverb). Ideally, you want reverbs at the end of the chain, not the beginning. Your amp is the end the signal chain. Of course, there are so many possibilities that you can consider this just as a beginning. The following list provides a bit more detail. Pay attention to cabling. If you decide to use multiple pedals and start getting into some serious money, you want to make sure your cables are durable and practical for what you’re doing. Don’t just grab the cheap stuff off the wall at Guitar Center. The connections between your pedals are also important. Avoid connecting long cables between pedals, because this lengthens your signal chain and can cause problems with your sound. You’re better off using short patch cables of better quality, which you may have a hard time finding at Guitar Center and for which you will probably get charged too much money. 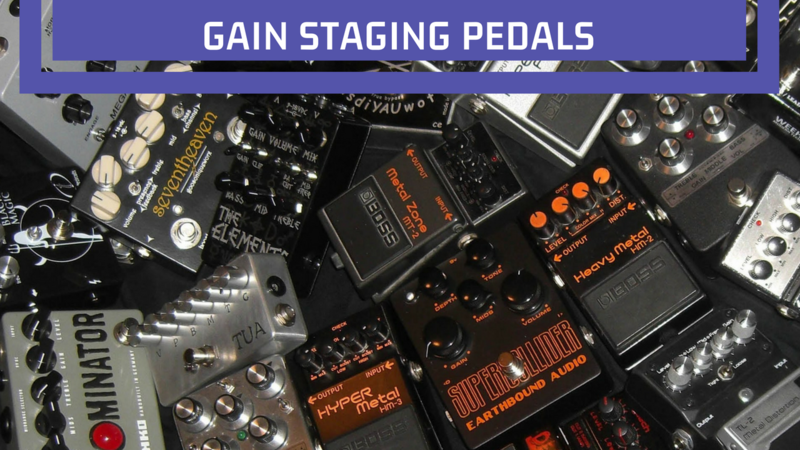 We break down the vast number of pedals out there into a few key categories: Gain staging, Modulation, and Time-based. 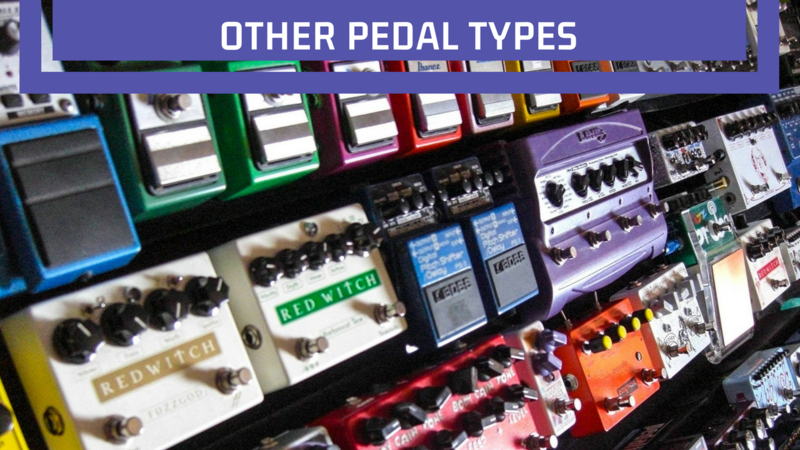 We’ll also explore additional pedal types for you to consider. This is an area where there’s a lot of confusion and debate. 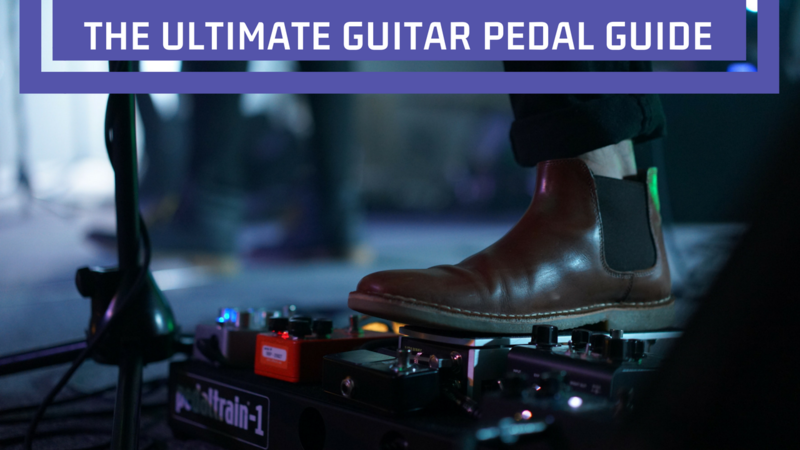 Depending on your style of music, players might have one or two, or up to ten or more gain pedals in their rig, each of which does something slightly different. So many variations of gain pedals exist that it’s impossible to list or describe them all. Matthew Emyr Downer, co-founder of the successful Facebook guitar pedals group Pedalboards of Doom, and a professional freelance musician, states: “I get called to do a lot of studio sessions using different basses. Different overdrives and fuzzes work differently with different basses.” Some musicians build different pedalboards based on the different sounds they’ll play during a gig or a studio session. Matthew Emyr Downer’s Gain Pedal Collection. Photo courtesy of Mr. Downer. Fuzz is probably the single most popular effect for guitar players across the world. Jimi Hendrix pioneered the use of fuzztone in rock music, inspiring young noisemakers to buy a fuzz as their first pedal purchase. Hundreds of models of fuzz pedals exist. Fuzz is the ultimate “dirt” effect; it drastically changes your guitar’s basic tone. Pedal makers even design and market fuzz pedals to individual schools of Heavy Metal music. 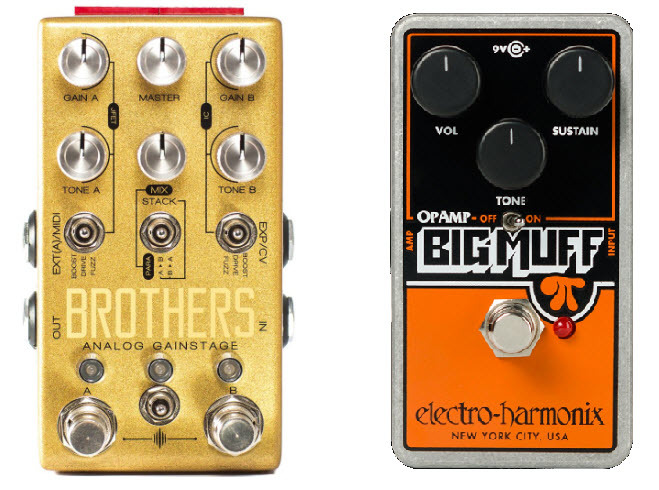 Perhaps the most popular fuzztone pedal of all time, Electro-Harmonix’s Big Muff has inspired guitar players for decades, with dozens of different varieties by itself. Fuzztone and distortion pedals turn your guitar’s signal into a square wave, which causes the harsher, more belligerent sound these pedals provide. This process is called Clipping. Overdrive (OD) is a foundational effect for most serious guitar players. Depending on the amount of gain and volume you dial up, overdrive can easily cross over into fuzz territory. Overdrives introduce levels of distortion to your guitar signal, adding sustain and volume to your tone. ODs usually have a milder form of clipping than fuzztone. Most players use OD to add muscle and expressiveness to their sound, enabling their tone to punch through the mix during live performance. Overdrive varieties can be as bewildering as fuzztones; different makes and models number in the hundreds or possibly in the thousands. The most popular OD variety is the Ibanez Tubescreamer, popularized by Stevie Ray Vaughan, which dozens of pedal makers clone and modify (the pedal, not Mr. Vaughan). The tube screamer is popular because unlike many fuzztone and distortion pedals, it boosts the midrange sound frequencies of your guitar signal, making it easier to punch through a loud mix and be heard. Other OD types include the older Klon Centaur, which has a brilliant way of keeping one foot in the boost category and one foot in the OD category. Most players with multiple ODs and fuzzes have at least one Klon-style pedal, which can add more punch to your sound without changing its basic character. This concept is often called a “transparent” OD/boost pedal. Most experienced users consider Klons a ‘Mild’ overdrive. 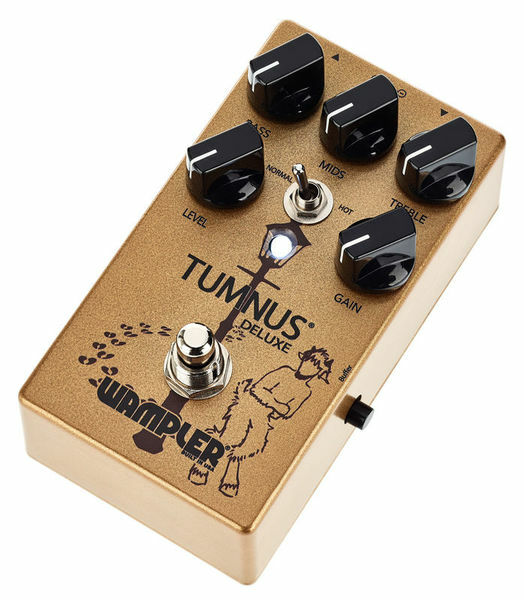 The Wampler Tumnus Deluxe is widely considered the best in the class. Pedal makers design boost pedals to drive an amplifier. They focus on increasing the volume of your signal into the amp, and don’t add overdrive on their own (in other words, they don’t clip the signal – it still sounds like what was fed into it, only louder). This is the basic definition of Gain. Boost pedals are pure gain pedals. Sometimes players with a large and complicated pedalboard will put a boost at the end of the signal chain to increase the signal when it goes into the amp. Boost pedals are quite versatile for adding punch to solo tones, stacking before or after an OD or fuzztone (or both!) to alter the tone’s character. Some makers design boost pedals to simulate the sound of a particular amplifier, or even to act as an actual amplifier into a speaker cabinet. Overdrive options (two of many). Images from Chase Bliss and Electro-Harmonix. Some gain stage pedals work in multiple categories, scaling from clean boost tones all the way to a gnarly fuzz flavor. A great recent example of this is the Chase Bliss Brothers Analog Gainstage OD pedal, which contains two complete gain circuits. Each circuit supports a different flavor of boost, overdrive and fuzztone, each of which you can switch to any type. It gets better. You can change their order and mix them in any way desirable. The Brothers scales from calmer boost and OD tones up to gritty, noisy, powerful, insane-out-of-control heavy overdrive and fuzztone. 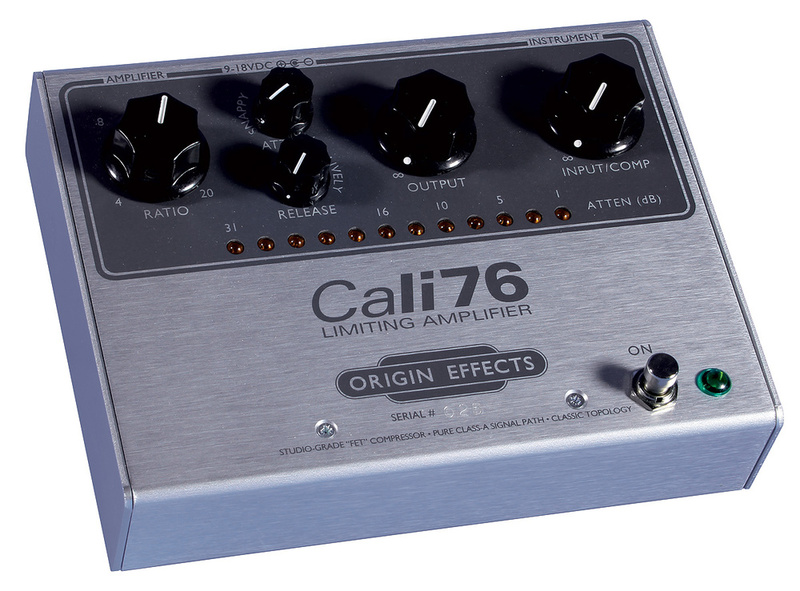 It’s essentially six different effects pedals in a single pedal, offering tremendous tone flexibility and excellent sound quality. There is no one dirt pedal that can do everything, but this one comes fairly close. Other options exist, such as the popular Earthquaker Devices’ Palisades, which is a dual Tubescreamer pedal. 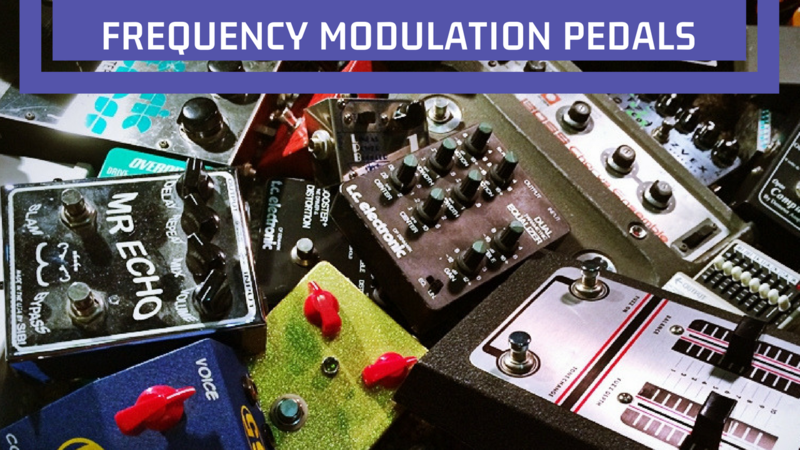 Frequency modulation is a very broad category of effects that encompass some of the most beloved guitar effects on people’s pedalboards. Modulation effects include everything from chorus, phasers and flangers, vibrato and tremolo, to ring modulation and octave divider, and many others that may or may not be essential to your playing, depending on your musical tastes. Eric Clapton, Jimi Hendrix and Frank Zappa popularized wah pedals, which give the trademark “quacking” sound on so many records by these and other artists. Originally invented by trumpet players in the 1920’s by moving a plunger mute in and out of the horn instrument’s bell, they were re-invented as an electronic device with a rocker pedal in the mid-60’s. You use the wah in two different ways: in an up-and-down motion (known as a spectral glide), or, released in a fixed position by moving the rocker where you want it and removing your foot. Wah use is a matter of taste for many people but was inescapable in the 60’s and 70’s. 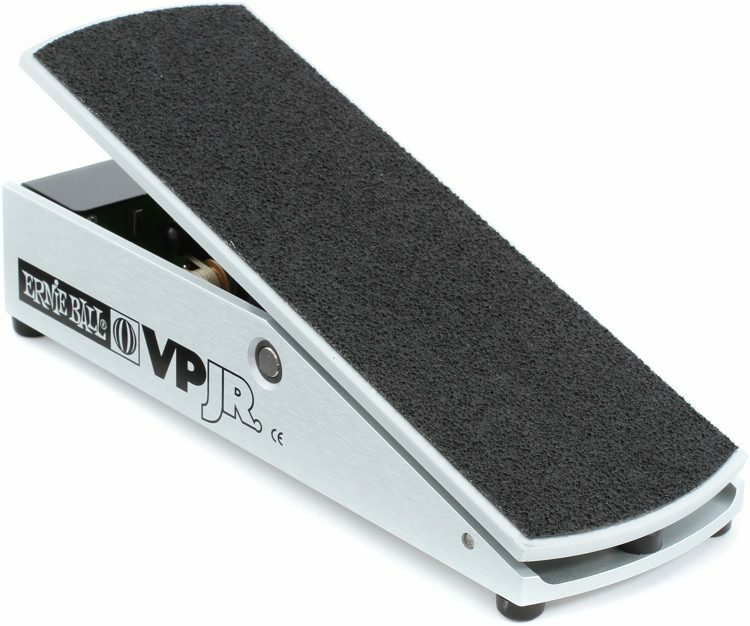 You can also use an Autowah pedal, which is a wah without a rocker pedal. Wah by itself is a type of filtering. Envelope filter pedals are heavily used in funk music to add a unique popping sound and an array of auto-wah effects. This powerful and cheering “Q” effect is just the thing for getting people dancing at a gig. 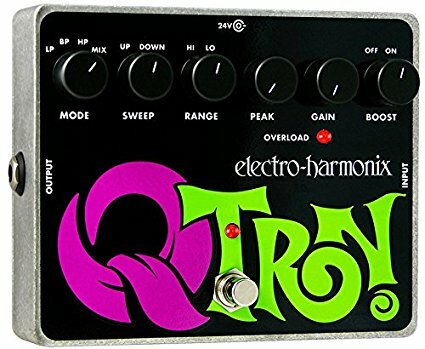 Electro-Harmonix’ Q-Tron is probably the most popular pedal in this space, with the 3Leaf Audio Wonderlove filter pedal offering the best range of features and quality. Pitch-Shifting pedals from DigiTech. Images from DigiTech. Usually, pitch shifting is used to enhance lead guitar sounds and works most effectively at the 12th fret upwards, adding drama to a soaring lead. Octavers were first introduced by – guess who – Jimi Hendrix, who appears to have been quite the original pedal nerd in his brief time. Some pitch shifters, like Electro-Harmonix’ Pitch Fork, allow you to select musical third, fourth or fifth intervals as the new harmony for the note you’ve just played. These pedals are far and away most useful for leads, falling like a flat pancake if you attempt to play chords with them. 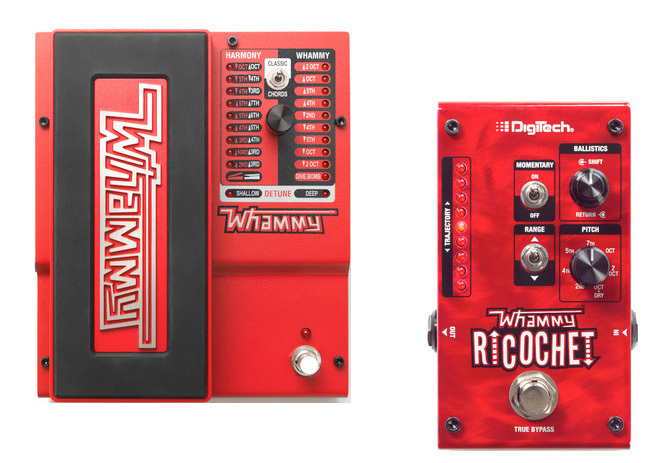 No mention of pitch shifting would be complete without mentioning the DigiTech Whammy, which builds in a very useful expression pedal as part of the assembly, and Whammy Ricochet, a more pedal-board-friendly product that also enables selection of pitch intervals. Equalizer pedals can be a powerful tone-shaping tool. For guitar players, EQ is usually a smaller component compared to equalization in the studio. They usually come in two different types: Graphic EQ, which uses several sliders to change the level of different frequencies in the tone; or Parametric EQ, which uses one or more knobs on the device to raise or drop parts of the instrument’s levels. Musicians often use EQ to define the final tone output of the instrument; but EQ can be used in any number of ways. Your guitar’s tone knob is an EQ adjustment by itself. For example, let’s say you have several instruments in a live mix. When you’re playing, your guitar may not be heard in the mix because its EQ is set the wrong way. Your notes might be drowned out by the drummer’s cymbals and rides, and then it becomes a race to see whether you can be louder than the drummer. (Pro tip: don’t even try.) In situations like this, the bass and treble of your guitar signal are too high, and your midrange is too low. Examples of EQ Pedals. Images from Source Audio and MXR/Jim Dunlop. This is called the mid-scooped sound. It works for some situations (such as heavy metal), but in most band contexts it isn’t desirable. An EQ in your pedal chain gives you total flexibility with your sound in any live situation. EQ pedals are very useful after you’ve familiarized yourself with other pedal types and gotten a general idea of how you want to use them. 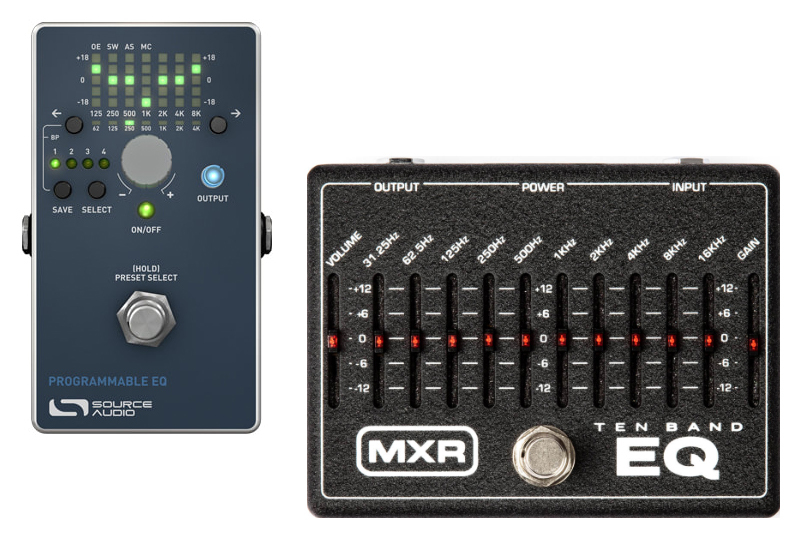 MXR, Boss, Source Audio and Empress make the most popular models. 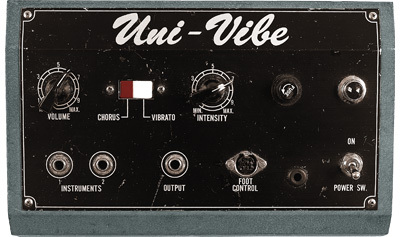 Univibe (also often called a “Vibe” pedal) is a somewhat lesser-known pedal type that, again, was originally used by Jimi Hendrix and later popularized by Stevie Ray Vaughan. It’s better-suited for Fender guitars than for Les Pauls because of the tone differences between the two instrument types. (The type of pickup used in each guitar has a big influence in how univibes work for each. You will never be able to reproduce Stevie Ray Vaughan’s tone using a Les Paul.) A Univibe can be considered almost a “more” switch for Stratocasters and Telecasters because it enhances the essential pickup tone from these guitars, adding bite and presence to the sound. If you have Fender guitars, and like blues or blues-rock, consider getting one of these. Popular examples include the Fulltone Mini-Deja Vibe and the Drybell Vibe Machine. A Rotary pedal is a closely related pedal type that imitates the rolling drum of a Leslie cabinet, a large apparatus often seen with older Hammond organs and church organs. (Tremolos and vibratos are very similar.) 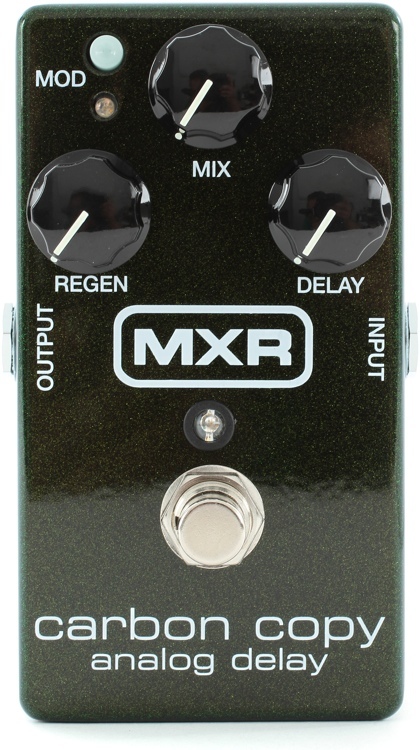 You shouldn’t expect to get the Hendrix/Stevie Ray sound out of a rotary pedal unless you’re really patient. Two widely loved effects that sound quite similar, but both have roots in the rotary cabinets we just mentioned. Along with reverb, tremolo is a foundational effect of surf music, psychedelic rock and trip-hop/downtempo. It causes its trademark fluttering sound by repetitively varying the gain of the signal. 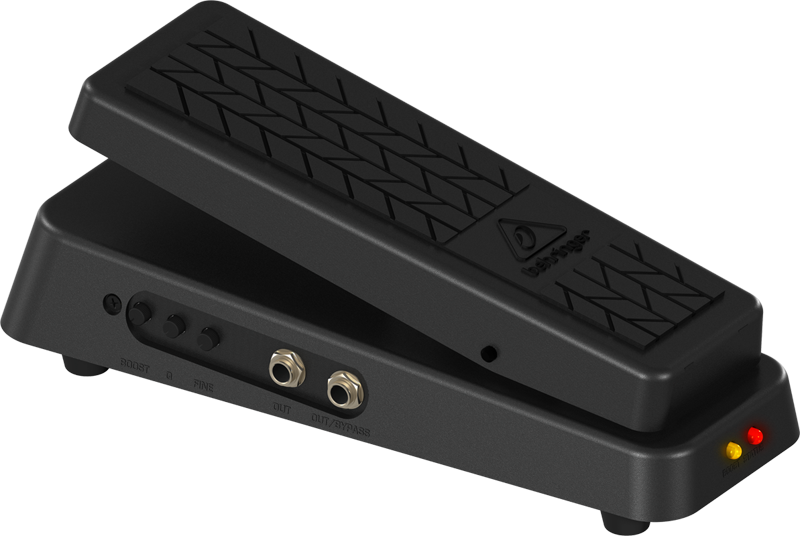 The user controls the speed and depth of the tremolo through the pedal. Many of the earliest guitar amplifiers from Fender have built-in tremolo effects, thus pioneering surf guitar. Vibrato is not the same thing as the univibe pedals we just discussed – vibratos modulate the pitch of the original signal, while Univibe is a type of phase shifter. Boss, Diamond, Strymon, and other manufacturers make vibrato and tremolo pedals at varying price points. 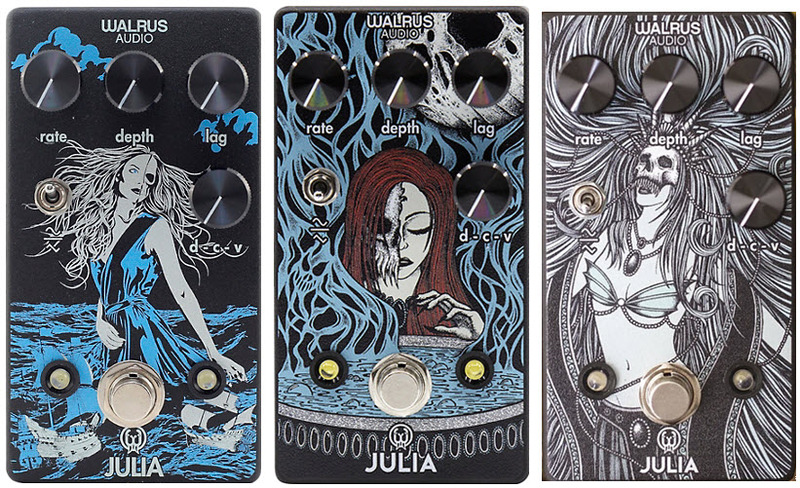 Custom artwork for the Walrus Audio Julia, a chorus pedal. 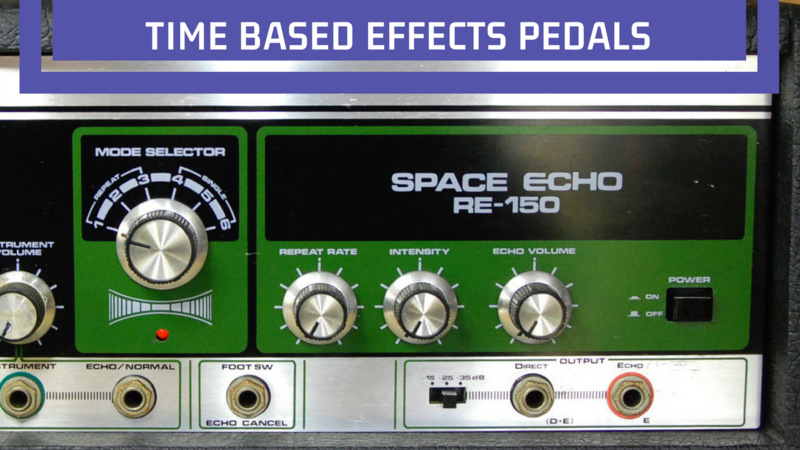 Time-based effects are basically dominated by two powerful and popular effect types: delay and reverb. Delay is a ubiquitous effect that is used for pretty much every instrument in existence, including the human voice. It copies the note you just played and echoes it back, at different speeds, lengths, and number of repeats, depending entirely on how you use the pedal. A short delay time with a single repeat is often called a “slapback” delay. Delays often use a special feature switch called Tap Tempo to set the timing of the delay effect to the tempo of the music. Dozens of high-quality delay pedals exist, and they can be had at every price point. 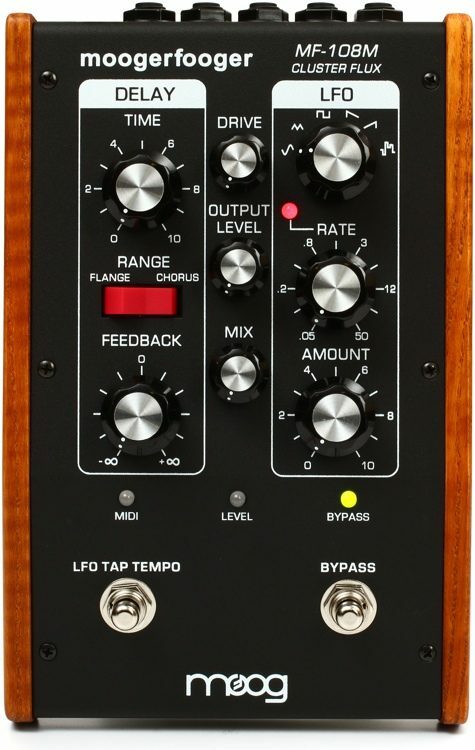 You can easily spend $500 on a do-it-all Empress Echosystem (an ultimate boutique delay), or, if you just want to get started, $80 or so on a used MXR Carbon Copy from Reverb.com. The Carbon Copy has a classic analog delay sound that is recognizable on hundreds of classic recordings, and it’s a staple of pedalboards worldwide. You can use delay to completely change your sound, or, use it as a flavor or enhancement for solo tone. One extremely influential style was invented by Pink Floyd in the song “Echoes,” and also on the album Dark Side of the Moon, where they combined the specialized Binson Echorec multi-head tape delay with an early fuzztone to create a subtle but powerful solo tone that’s a favorite of guitar players to this day. U2’s The Edge made his career out of using delays to enhance his sound. Reverb is another feature, along with tremolo, that was popularized in early Fender amplifiers. It’s loved the world over for how it adds depth and expressiveness to a guitar’s basic tone. The reverb/tremolo combination is one of the first effects combinations in modern music and it’s still vital to guitar players’ tone. Dire Straits’ Mark Knopfler used spring reverb to great effect on many of his recordings, creating an instantly recognizable tone. In the current era of effects pedal development, it seems every few months a new can-you-top-this reverb pedal comes along to take the crown for most beautiful, accurate effect. People are particularly obsessed with spring reverb, which originated with Fender and a few other manufacturers. In these setups, a power tube is used to drive a metal spring tank, containing two or more physical springs. Grab an old amp and then put it down (gently, please!) and you can hear the springs bumping each other in the tank. 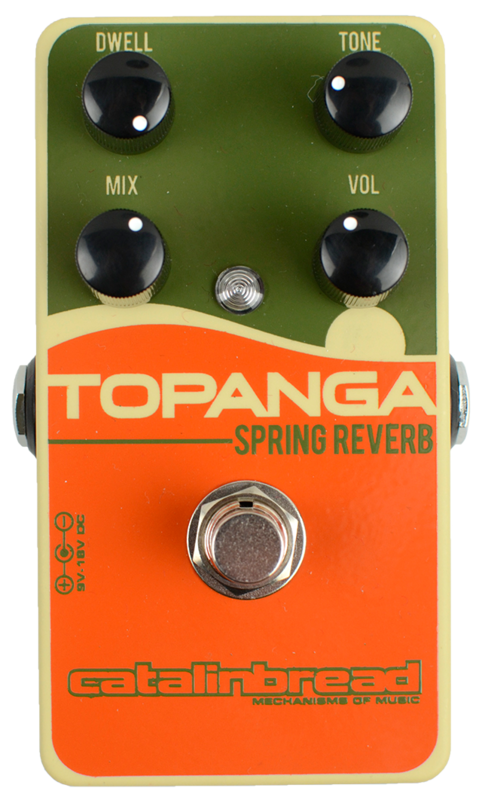 Perhaps the best quality spring reverb pedals are the Catalinbread Topanga (a great pedal simulation of a spring tank) and the exceptional Source Audio Ventris, which currently has the most accurate digital spring reverb in existence. Other reverb types include plate reverb, which in studio use involves a literal metal plate of up to six feet by four feet or larger to reflect the sound. Room reverb allows you to simulate a tiled room of just about any size. Reverbs are as varied as delays, and many people combine the two as an integral part of their sound. All of this requires experimentation to find out what you like best. Delay and reverb are guitar pedal types where there is ongoing insane experimentation. Don’t have a band? Need to practice with someone? 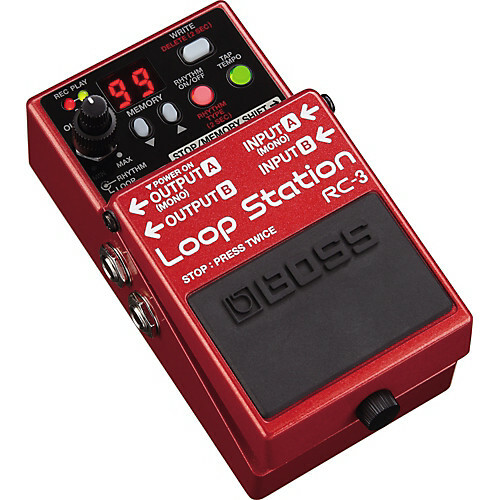 Get a looper and you can have a second guitar player to practice with – yourself! Boss and TC Electronic make the most popular ones. Guitar players often ignore or disdain compressors because, hey, they aren’t as fun! They don’t do anything particularly obvious, like a good fuzztone or delay does. Why do I need one? It says here that a compressor can be one of the best pedal purchases you can buy. Although fuzztone and distortion actually do compress your signal and add a ton of sustain, unless you’re a metal person that stuff gets old fast. Compressors are built to do one of two things – either Peak Limiting, where they compress and limit the sound, reducing sudden peaks in the signal; or Sustain, where they add sustain to a note when you strike it (while still performing subtle peak limiting). This is a very musical effect that certain compressor models do, and once you discover it it’s hard to go back to not having one. You really need one of these. Everyone should have them. Tuner pedals, like the handy Polytune 3, make standing on stage during a set and tuning up between every darn song a thing of the past. (Who really misses that foolishness, anyway?) C’mon. What else needs to be said? If you want to play out, it’s a must-have. 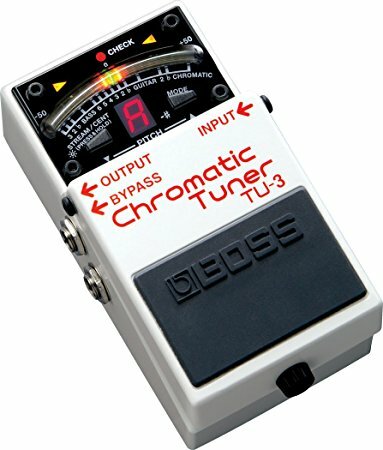 A very useful item for experimenting with delays, reverbs, and any other guitar pedal that supports it. Probably something that can wait until you’ve gotten used to most of your pedal collection. Good expression pedals support two separate pedal connections. They’re the best way to protect your pedal collection and to safely power multiple devices at once. This way, you don’t need to cart around power strips and individual pedal power bricks. Voodoo Labs, Walrus Audio, Truetone, T-Rex, CIOKS, and Strymon (and more!) all make excellent isolated power supplies at various price points. Power supplies can cost, so if you are just experimenting with a few pedals at home to start with, buying a 1-Spot daisy chain is a handy way to get started. For initial experimenting, a daisy-chain is a useful tool, but it provides no electrical protection for connected devices and is ill-advised for rehearsals and live work where power reliability is an issue. One thing you should not do: buy a cheap power supply sourced from overseas that claims to be “isolated.” Tip: It’s not. Nothing for $30-$50 is an isolated power supply. The parts to isolate each power output are just too expensive. Don’t endanger your hundreds of dollars of pedals with a cheap power supply. There’s so much more we could talk about. Like pedal switching and MIDI, buying a pedalboard, or building your own. If there’s one message we want to leave you with, it’s this: think about what you want before you buy. Expensive mistakes can be a bummer. A little research will leave you a very happy musician.